Today I will be sharing with you some wonderful new wedding shops and products that I've been introduced to recently. The first is from Michele of Not just Any Old Day. 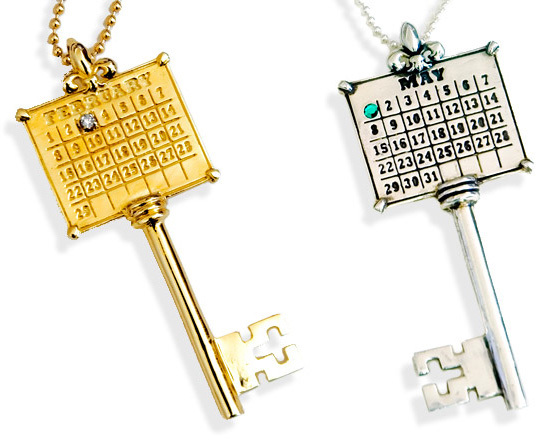 She creates unique Calendar Keepsake Charms that are "a lovely new way to remember, cherish and celebrate a very significant month and day in the life of the person who receives it". I think this is such a lovely gift idea and keepsake. Along with the charms, Michele also has necklaces, bracelets and keyrings available for purchase.